How did a week pass so quickly? Oh, I know…Fall Quilt Market is just around the corner! That will do it every time. I plan my time weeks in advance and it always boils down to last minute details. How about you? Are you already working toward deadlines? Ya know, the holidays are fast approaching. Will there be homemade treasures in your future? I have several free patterns on my website that I’ve mentioned in the past. I’m adding new ones by the end of the week, so be sure to check them out! The place mats below were made by my great friend Shinae! LOVE them! She knew I needed new binding samples for Market so she did them just for me! LOVE my friend!! And thanks to Shinae I will be demo-ing on these beauties! These place mats will be a new free pattern! 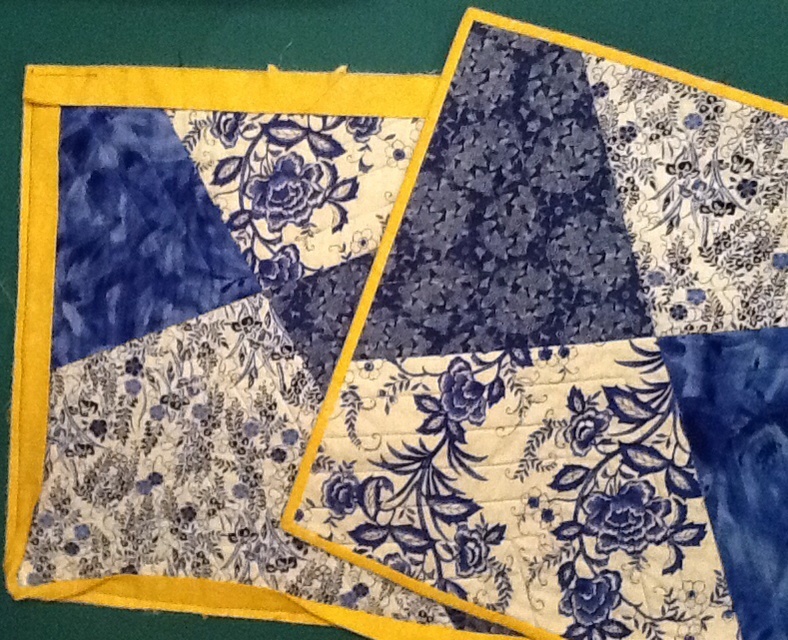 #1 – Make place mats to practice quilting and binding. 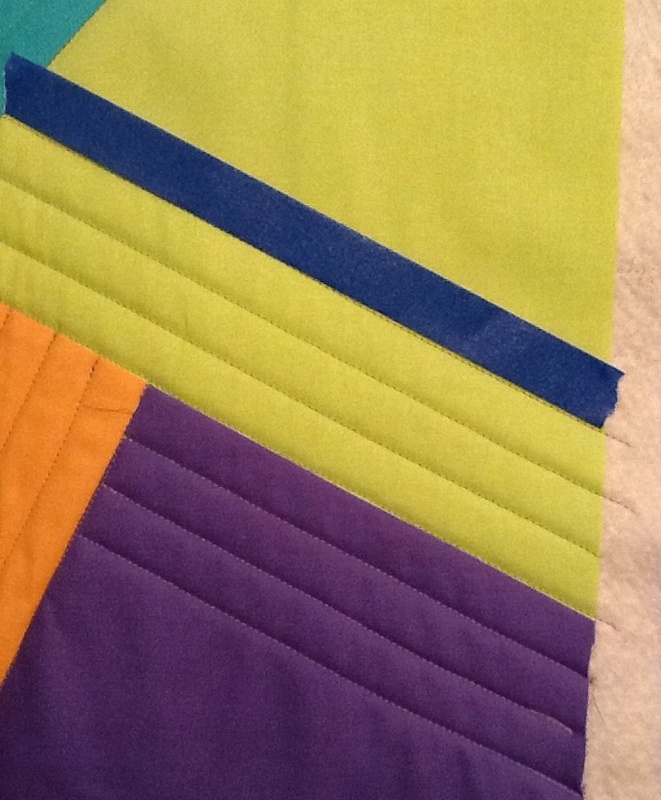 Straight line quilting is enough! And makes a very modern statement. My “old” but “true”, samples are retiring. I’m sad, but I love my new ones! 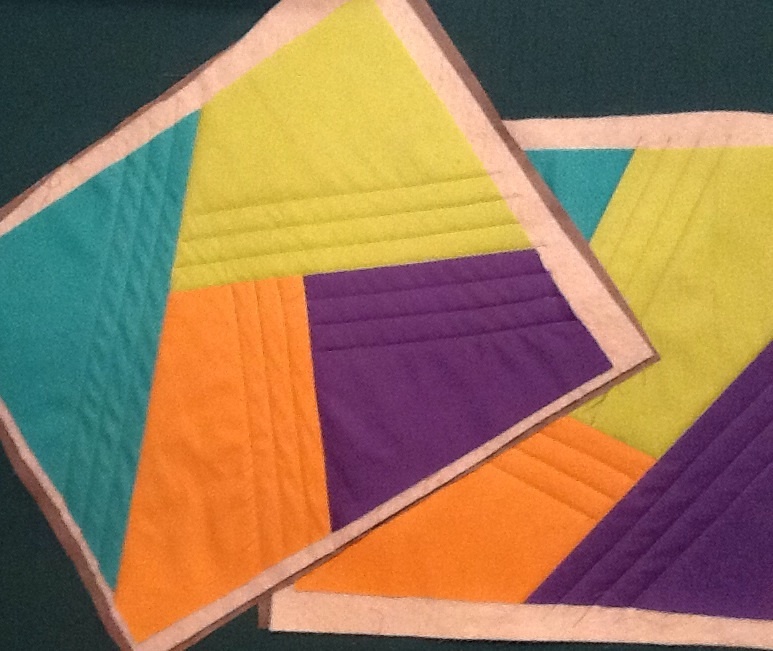 These samples debuted on Linda Ramrath’s “A Quilter’s Touch” local cable TV show. You can watch my guest segment on the 2009-03-25 episode. Go to hcattv.org. Linda shows how to make pillow cases and I’m the second half showing bindings. Including using Brilliant Bindings tool for perfect bindings every time. How to make perfect mitered corners and finishing the tail ends! This entry was posted in Brilliant Bindings, Free patterns, Quilting, Tips, Uncategorized. Bookmark the permalink.